During an exclusive interview with E! 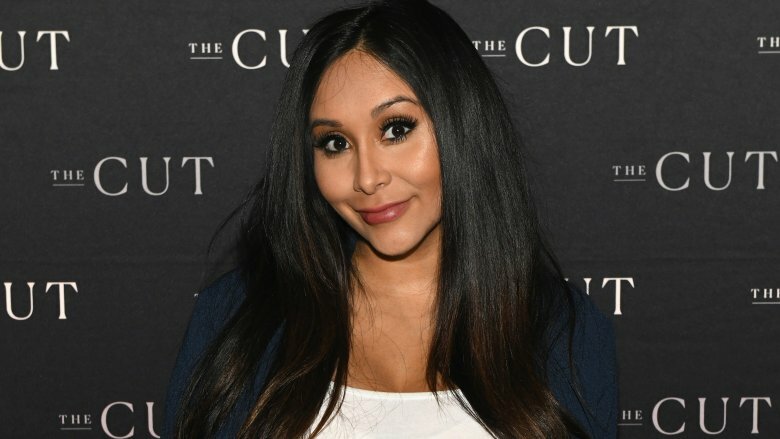 News, published on Tuesday, April 2, 2019, television personality Nicole "Snooki" Polizzi shared an update on how her longtime MTV co-star has been doing while serving time behind bars. While speaking to the media outlet at her clothing store, The Snooki Shop, Polizzi said that Sorrentino — a.k.a. 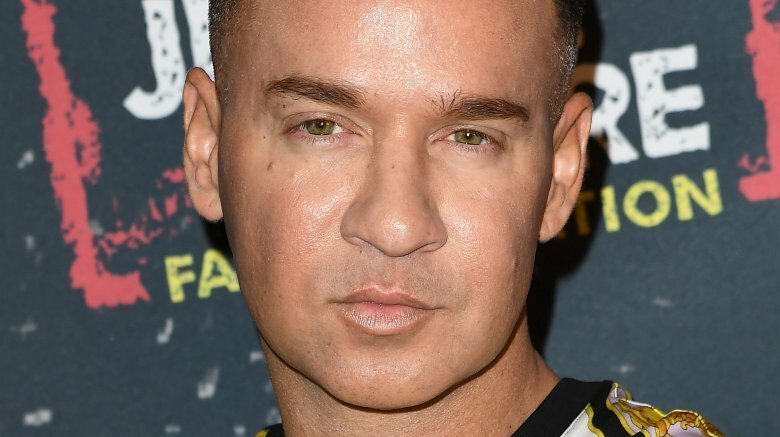 "The Situation" — has been "having the time of his life." She explained, "It's like he's in a senior home, he's playing Bingo, he's helping people recover in jail." "We all talk to him through an email, so I talk to him like once a week," Polizzi went on to say of herself and the duo's fellow Jersey Shore co-stars. "He's in the gym a lot, so he's probably gonna come out ripped. He's not gonna be BDS anymore — 'Big Daddy Sitch' — he's gonna have his, probably, six-pack again … he's doing good in there." As Nicki Swift previously reported, Sorrentino, 36, surrendered himself to the Federal Correctional Institution in Otisville, N.Y., in mid-January 2019 after receiving an eight-month prison sentence for tax evasion the previous October. While saying goodbye to his fans during an Instagram Live video just before entering the prison, he said, "I want to put this behind me and move forward. The comeback is always greater than the setback." The reality TV star, who celebrated three years of sobriety in December 2018 following a longtime battle with prescription medication, drug, and alcohol addiction, must also serve a two-year sentence of supervised release and perform 500 hours of community service. The Federal Bureau of Prisons later revealed that Sorrentino will be released on Sept. 13, 2019. Shortly after he began his stint in prison, Sorrentino's college sweetheart and new wife, Lauren Pesce, took to social media to share an update of her own. The couple had tied the knot in November 2018. "Hi Everyone, it's Lauren. Mike would like to thank all of his fans worldwide for the unbelievable outpouring of love & support," Pesce, 34, tweeted at the time. "We speak everyday & he's doing great. He received thousands of letters." She went on to add, "He won't be able to respond to everyone but wanted to express his gratitude to each and every one of you. Thank you from both of us; it is truly heartwarming to have this support during this time. Lots of Love, Michael & Lauren Sorrentino." During her recent interview, Polizzi was sure to dish to E! News on what's been going on elsewhere in the Jersey Shore sphere — including right at home. Readers may remember that Polizzi announced she was pregnant with baby no. 3 last November. The 31-year-old already shares 6-year-old son Lorenzo Dominic and 4-year-old daughter Giovanna Marie with her husband of nearly five years, Jionni LaValle (via People). "Right now, I'm seven months, and this pregnancy is probably the worst," Polizzi revealed to the publication. "Just because I'm chasing around a 4 and a 6-year-old, I'm not really having time to rest or sleep or do any of that, which is fine, but I'm grumpy. And I'm ready for this to be over." However, the expecting mom added, "I'm super excited to have a third baby though, but I know it's gonna be so stressful because everyone says the third one … that's the baby that makes you crazy. And I'm already crazy." While discussing co-star Jenni "JWoww" Farley's ongoing divorce from Roger Mathews, Polizzi said, "Jenni is doing amazing, everyone's going through their own s**t right now, it's like, we should have a reality show … we do!" Of course, Farley, 33, called it quits with Mathews, 43, in September 2018 after nearly three years of marriage. Citing "irreconcilable differences" as the reason for their divorce, she's reportedly seeking child support from her ex, as well as primary custody of the former couple's children: daughter Meilani Alexandra, 4, and son Greyson Valor, 2. While admitting that Farley's been going through an "obviously hard [time]," Polizzi went on to say, "I've never seen her more confident and happier and, you know, just things don't work out. So, hopefully, everything will work out, they could co-parent and call it a day." With the headline-making drama remaining ever-present in these TV stars' personal lives, we're also hoping everything will work out for our Jersey Shore faves.